The world premiere of Catching Fire will take place in London on November 11th. 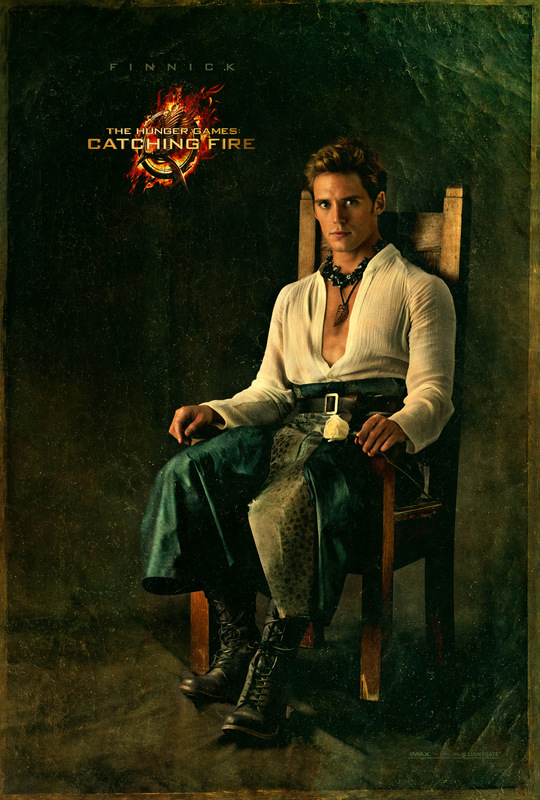 The premiere of Catching Fire in France will be on November 15th in Paris. The premiere of Catching Fire in Germany will take place in Berlin on November 12th. The Los Angeles premiere of Catching Fire will be taking place on November 18th! We will update this post with more information about the organization. Who’s planning on going? SCF will make the trip to London to show our support to Sam! 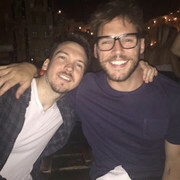 Samuel George Claflin was born on June 27th 1986 to parents Sue and Mark. He is the 3rd of 4 siblings (all boys), with older brothers Dan & Ben and younger brother Joe. Although Sam was born in Ipswich, UK, the family moved to Norwich and firmly consider this to be their home city! A keen football player, this was the dream career for Sam until the age of 16 when a broken ankle forced him to rethink his future. A drama teacher at Costessey High School noticed his talent for performing arts and, along with his parents, encouraged him to pursue it. He studied Performing Arts at Norwich City College before going on to studying at LAMDA (London Academy of Music and Dramatic Art), graduating in 2009. Sam made his acting debut in 2010 in Pillars of the Earth starring as Richard alongside Hayley Atwell, Donald Sutherland & Eddie Redmayne to name a few! In 2013, Sam married long term girlfriend and fellow actor Laura Haddock. The couple live in London with their gorgeous Cockapoo dog Rosie. In December 2015, they became proud parents of a little boy and in January 2018, a little girl. Sam’s first big break was in the TV mini-series The Pillars of the Earth. Other roles soon followed, such as playing a young Logan Mountstuart in Any Human Heart and legendary Manchester United star & Busby Babe Duncan Edwards in the BBC TV film United. His break into blockbuster roles came in April 2010 when he was cast as missionary Philip Swift in the 4th Pirates of the Caribbean film On Stranger Tides. 2012 saw him star in the BBC series White Heat as Jack. He was also cast as Prince William opposite Kristen Stewart & Chris Hemsworth in Snow White & The Huntsman. This firmly cemented him as ‘one to watch’ in terms of big blockbuster productions. And indeed it gained the interest of director Francis Lawrence who in 2012 was casting for The Hunger Games – Catching Fire. 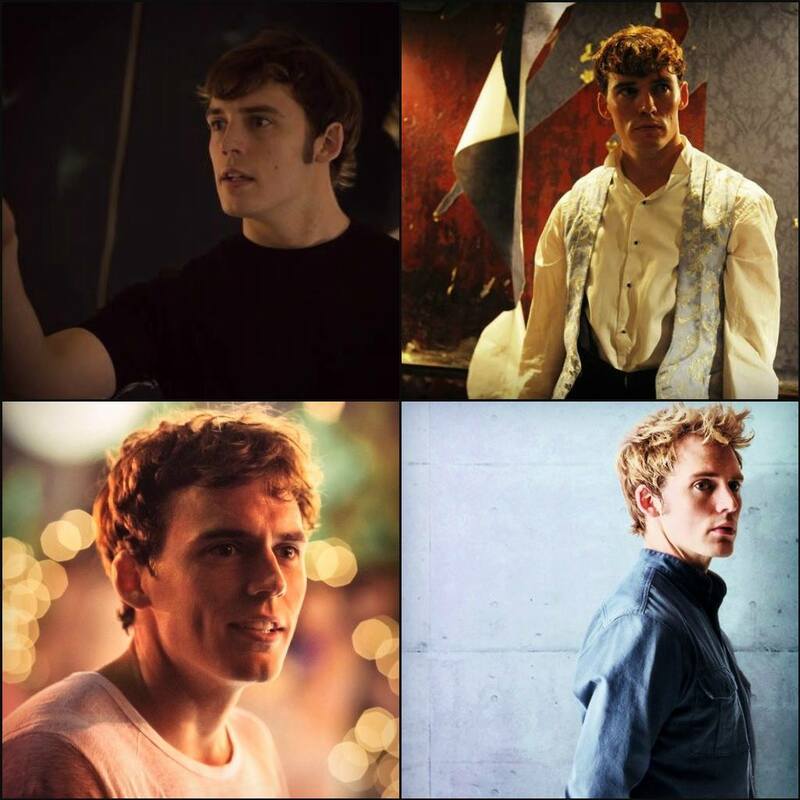 Sam’s audition for the role of Finnick Odair proved to him that not only could he portray Finnick’s confident outgoing nature but also the lost, tormented soul underneath. Despite initial scepticism from the fans, Sam’s portrayal of the victor from District 4 proved all the doubters wrong and he has gone on to become a firm fan favourite both in Catching Fire & Mockingjay – Part 1. He reprised the role for the final time in Mockingjay – Part 2 in November 2015. 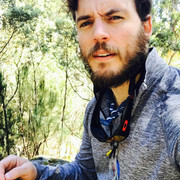 Alongside the big budget productions, Sam has`continued to develop his skills in many other different genres and smaller independent films, including the TV film Mary & Martha as part of Comic Relief, the Hammer horror The Quiet Ones and in romantic comedy Love Rosie, based on the book Where Rainbows End by Cecilia Ahern. 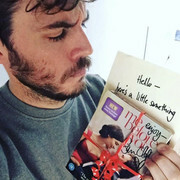 He also received critical acclaim for his performance as Alistair Ryle in Lone Scherfig’s The Riot Club, based on the stage play Posh by Laura Wade. In April 2016 Sam reprised his role as Prince William alongside Chris Hemsworth in the prequel to Snow White & The Huntsman entitled The Huntsman, and June 2016 saw the release of Me Before You, the romantic drama based on the book of the same name by Jojo Moyes. Sam plays Will Traynor, a quadriplegic who has seemingly lost all hope in life following a motorcycle accident. 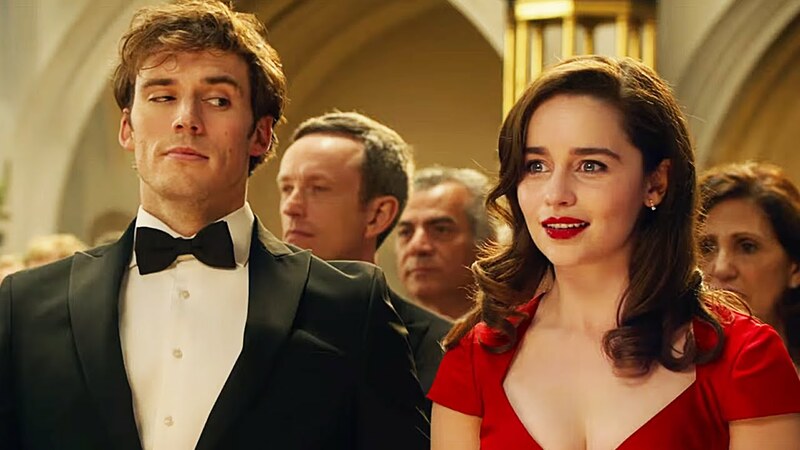 Emilia Clarke stars alongside him as a carer who may well change his life. The film has been a hit with fans of the book who have cited it as being an incredibly loyal adaptation of the much loved novel. 2017 has so far seen Sam excel in two completely different roles. 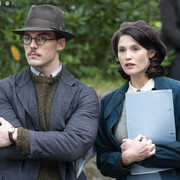 As Tom Buckley in wartime comedy drama Their Finest, Sam showed us just how brilliant he is at comic timing & made us fall in love with the cynical, smart writer who was thrown together with Gemma Arterton’s character Catrin Cole to create a moral boosting film during WW2. 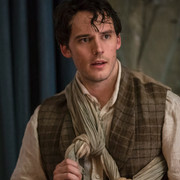 As Philip Ashley in My Cousin Rachel alongside Rachel Wiesz – a remake of the 1952 mystery romance based on the novel of the same name by Daphne Du Maurier – Sam showed us just how much he has grown as an actor, telling the story of a boy becoming a man, who quickly becomes a boy again when he is given his first taste of women. Dark & thrilling, it is like nothing else Sam has ever done & he rises to the challenge admirably. And late 2017 will see the release of Journey’s End, director Saul Dibb’s powerful screen version of R. C . Sherriff ’s play of the same name: a portrait of what it was like for a British unit in the trenches. 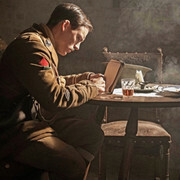 The director states that, as Captain Stanhope – the commanding officer of the group of young troops during WW1, trying to keep a brave face for them whilst suffering from shell-shock – “Sam goes to very dark places in Journey’s End“. The future certainly looks bright for Sam, and in typical fashion he refuses to be typecast into one particular genre or role. Three new projects on the horizon are all challenging & very different. 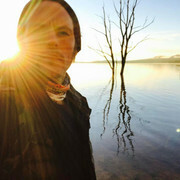 In mid 2017 he completed filming on The Nightingale which took him into the deep heart of the Australian outback. His darkest role to date, the film will see him portray Hawkins, a brutal slave master who is pursued by a female convict through the Tasmanian outback as she seeks revenge for the brutal murder of her husband and baby. Semper-Fi, a crime thriller, will see him take on the role of a straight laced US Marine Corp & Cop who resolves to break his younger brother out of jail when he is imprisoned for accidentally killing a man. Sam also starred alongside Shailene Woodley in survival drama Adrift, which tells the real life story of Tami Oldham & her fiancé Richard Sharp who are left injured & alone after the largest hurricane in the history of the Pacific Ocean wrecks their boat. 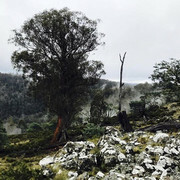 In the Nightingale, Sam is being chased through Australian wilderness by a young Irish convict. We have yet to seen his performance, but the movie was internationally acclaimed at the Venice Film Festival and the Adelaide Film Festival. More projects to come: Charlie’s Angels, The Corrupted, Red Shoes and the 7 Dwarfs (voice), Watch The Skies (voice) and Borderland. Sam will also be starring in Peaking Blinders Series 5, airing this Spring 2019. We are so excited to see Sam’s career just carry on going from strength to strength as he keeps on putting in all of the hard work that has gotten him to where he is today. Onwards & upwards! Sam is a huge Norwich City fan. He realised a dream of playing at their home ground Carrow Road in 2014 when he played there in a charity match! 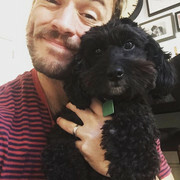 Sam & Laura’s dog Rosie is named such because they got her whilst Sam was in the middle of filming Love Rosie. Her given name was already Rosie so it looked like she was meant for them! Sam unwittingly turned him & Laura into Dubsmash stars in 2015 when he uploaded the pair of them lip syncing perfectly to Iggy Azalea’s Fancy on his Instagram page! The whole thing is just brilliantly done – check it out below! When Sam auditioned for The Riot Club, casting directors wanted him to audition for the role of Miles (eventually played by Max Irons). But Sam felt more drawn to Alistair, wanting the chance to portray a character a million miles apart from himself. He is a huge fan of The X Factor and classes himself as an ‘original Directioner’ having stated in the past that he has been a fan of One Direction since the very start of their journey on the UK talent show! 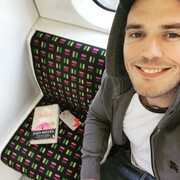 On two seperate occasions now, Sam has delivered random acts of kindness by leaving both the book & DVD of Me Before You in locations around London for fans to find – he really is a sweetheart! Sam’s younger brother Joe is also an actor. He graduated from LAMDA in 2012 and has had roles in TV shows such as Game of Thrones and the ITV series Grantchester.